With its history, Annecy is a city with a rich artistic and cultural heritage. There are museums and art galleries to visit. Throughout the year, many events are organized by the city. Every month, IFALPES offers different outings and cultural activities in the city (visiting museums, exhibitions, tasting regional products …) but also on famous sites in the region (Chamonix, Geneva, Lyon …). LA FÊTE DU LAC. At the beginning of August, every year, the lake becomes the stage for the biggest pyrotechnic show in Europe… For more than an hour and a half, you will be treated to a fireworks display punctuated by music, lights and water special effects … This grandiose spectacle has its origins in the Venetian celebration given in 1860 in honour of the arrival of Napoleon III. A show to see at least once in a lifetime! LE FESTIVAL INTERNATIONAL DU FILM D’ANIMATION. Created in 1960, FIFA has become a world-renowned event. The festival takes place every year at the beginning of June and offers an official selection of cartoon-style films, cut-out papers, plasticine, stop motion and 3D. LE FESTIVAL DES PAYSAGES. 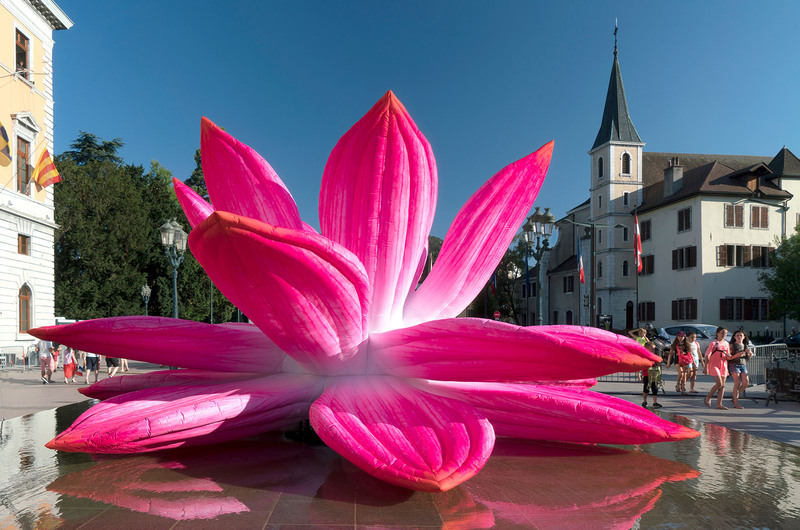 You will be seduced by the 20 or so artistic and thought provoking installations, all located in emblematic sites of Annecy. You can download the catalogue of the 2018 edition by clicking here. SAISON AU HARAS. In May, you can enjoy a sumptuous landscaped park in a 19th century heritage site. Concerts, theatre, open-air cinema, exhibitions, the place thrives to the great pleasure of the participants.